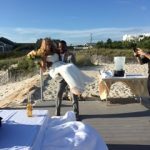 #Jedson’s – meet the Jedson’s – they’re an awesome family! 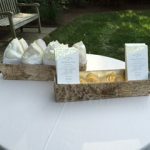 Wedding #18/2016 is in! 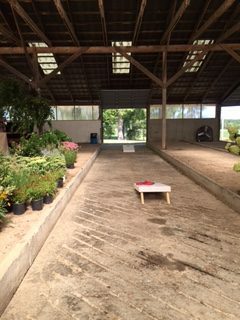 The venue is gorgeous – in Cape Cod and I know it very well from my Grandparents Cape house being about two minutes away. 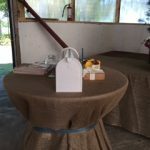 I also realized once I got there I had done a wedding about three years prior there so I was familiar with the layout and setup. 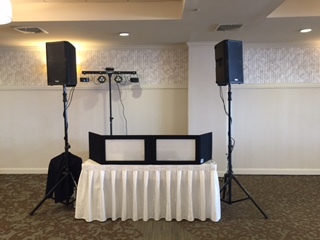 As always I headed to the venue hours early for set up and sound check and this one required three different set ups in different locations so I needed the extra time to prepare everything. 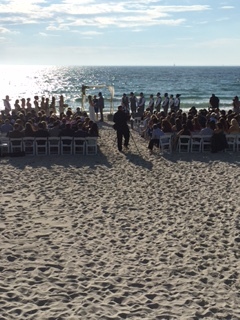 The ceremony to start was held on the beach itself and the weather was gorgeous. 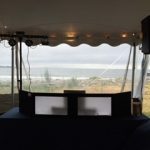 I had one speaker and a wireless mic placed just beyond the beach setting and the pre-ceremony music was really fun to put together as they wanted just some chill reggae, funk/soul which fit the theme perfectly. 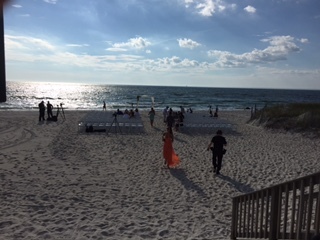 Ceremony started and the wedding party processed to “Fools Rush In” by Vitamin String Quarter and Jess walked the sandy beach aisle with her Dad to an instrumental version of “National Anthem” by Lana Del Ray. Their friend handle the officiating duties and nailed it perfectly. Once it was done they walked off to ” You Are The Best Thing” by Ray Lamontagne. 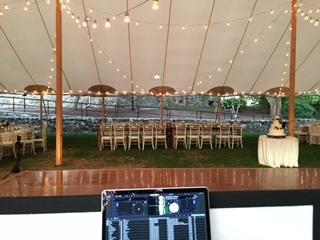 Everyone then headed over to an outdoor courtyard area for cocktail hour where I had another set up ready to go and did a similar mix to pre-ceremony music of some reggae tunes with some chill modern music as well. 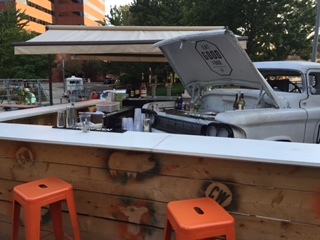 People were loving it and it really fit the outdoor area of the venue nicely. It was really chill not rushed through at all and then once cocktails wound down we then all moved into the main dining room/ballroom area where my bigger main set up was ready to go. 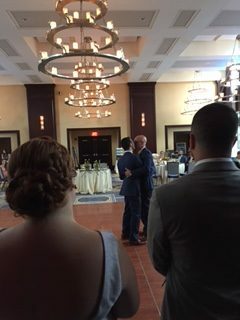 We lined up the parents, wedding party, and Jess and Edson just outside the ballroom doors and got underway with the introductions to “In Da Club” by 50 Cent for the parents as a subtle happy birthday song as it was Jess’ Dad’s birthday that day. 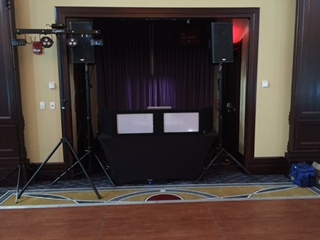 The wedding party was announced to “Pop Bottles” by Lil Wayne and Birdman and the bride and groom were announced to “Drunk In Love” remix by DJ Rell. With all of the attention on them right then and there, they went into their first dance “Adorn” by one of their favorite artists; Miguel. The crowd was LOVING every second of this. We then kept things rolling with some toasts and dinner and a mix of everything really for dinner transitioning from the earlier music of the evening into some chill classic rock and modern chill folkie/indie stuff as well like Florence & The Machine and the Lumineers. 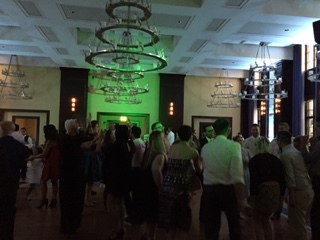 Dinner was incredible – so delish, and once that started to wrap up we went into dances and open dance floor. 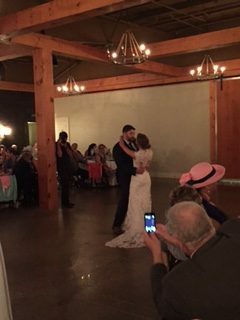 Jess and her father danced to “Walk With You” by Edwin McCain while Edson and his sister Rayan danced to The Pretenders “I’ll Stand by You”. From there the crowd rushed the dance floor as we opened it up for all to join and kicked things off with some Jackson 5, Stevie Wonder and traveled through the decades and genres from there on. 90s tunes, to 80s rock ballads, to top 40 dance songs, back into some old school Motown funk and soul. The crowd was just as amazing as the couple was and really made my job easy this particular night. So energetic and into everything played. Edson provided me with a few Kompa dance tunes which we mixed in as well and the crowd would go nuts for them. 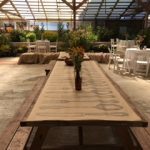 Seriously one of the best days and nights for a wedding I’ve ever been a part of – they did such a good job with setting everything up and the way the room looked, it was a night to remember to say the least! We closed the night out with a request from J&E “The Night Is Still Young” by Nicki Minaj. Vicki and Kolin Burgoyne! 17 of 2016 season. 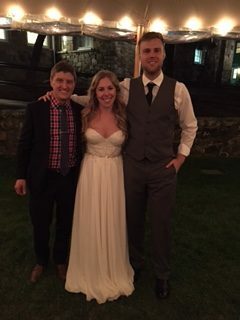 To round out my crazy hat trick of a triple header wedding weekend I couldn’t have had a better wedding than this. 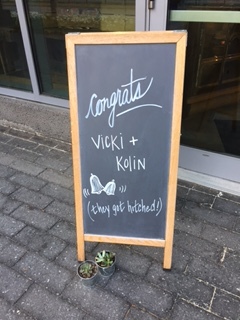 Vicki and Kolin were a complete gem to work with and get to know over the last several months. Seriously just genuinely awesome people who know how to throw one hell of a party, and I was thrilled to be a part of said party! As I do with all of my couples – we met months ago for a consultation meeting to feel each other out and just discuss the vibe of the night and what direction of music. We were instantly all on the same page and Vicki even came by 6B Lounge on a Friday to see me in action for 90s Night and I was booked for their big day shortly after that. Vicki even attended some of the Thursday night gigs I was doing earlier this year at Hops N’ Scotch in Brookline – so awesome to have her come out and support my bar gigs. The three of us kept in touch via email and through a couple of meetings we really locked down exactly what they wanted musically. 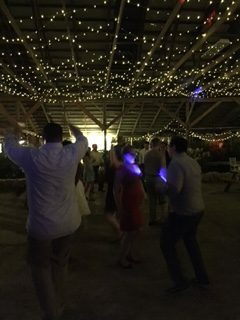 Going with a mix of indie rock stuff like Passion Pit and Grouplove for cocktail hour, into some more chill yet fun 80s and 90s jams for dinner (they wanted it to be fun and upbeat all night), and our dance party mix was any and everything you could think of! It was awesome to bring to life for them on that actual day. V & K held their ceremony at a chapel in Cambridge so while that was going on I made my way over to the Commonwealth Market and set up. This venue was awesome and I will be going back many times to come in the future. 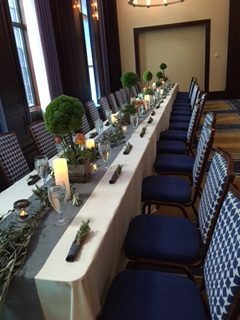 Seriously one of the best vendor dinners I’ve ever had in my life! 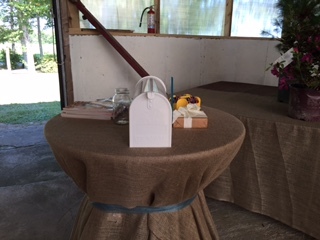 The cocktail hour was held outside near their outdoor bar so I had a smaller minimal set up going for that while everyone arrived from the chapel. This was really fun to play mixing up stuff from Nathaniel Rateliff to Phoenix, etc. Once the cocktail hour wrapped up and everyone made their way inside to the back part of the restaurant for dinner we went into introductions and speeches to keep things moving. I had another smaller set up for this as well (this is where having more than enough speakers, cables, etc. comes in handy)! 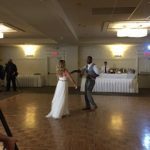 The wedding party was introduced to “Let’s Go Crazy” from the late and great Prince, while the bride and groom were announced to “Now That We’ve Found Love” from Heavy D & The Boyz. (AWESOME introduction song choice). 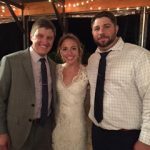 The speeches were all very well done from their Best Man and Maid of Honor. 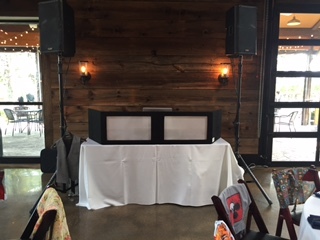 People were really digging the dinner tunes and once that concluded we all moved into another area of the restaurant where my main set up was ready to go. 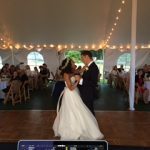 The first dance was up next and was played live by their friend Michelle – who I had plugged into my mixer for her guitar and set her up with a microphone. We sound checked everything earlier in the afternoon and she knocked it out of the park doing a cover of “Thinking Out Loud” by Ed Sheeran. It was SO well done! 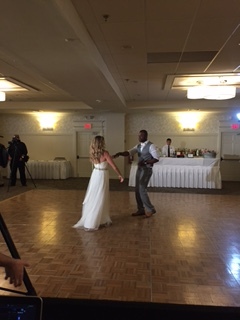 Kolin and his mother shared a dance to “What a Wonderful World” by Louis Armstrong and then it was OPEN DANCE FLOOR! V & K wanted a lot of 90s tunes which I guess is a specialty of mine at this point and I was throwing in a good amount of top 40 and old school funk/soul songs as well to spread it out over all generations and eras. The crowd was fantastic – so fun to work with and would dance to anything. Ended the night with a huge dance party sing-along of S.O.B. by Nathaniel Rateliff and the Night Sweats. 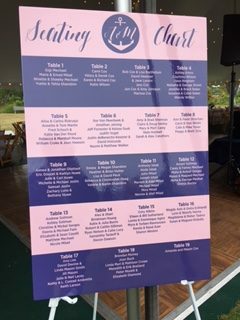 AMAZING wedding to be a part of! 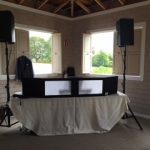 CONGRATS Mr. and Mrs. Burgoyne and thank-you TONS for having me keep the beat going all night! (Kolin – I will still be visiting Area 4 for dinner soon!) and Vicki let me know next time you want to come by 90s Night. 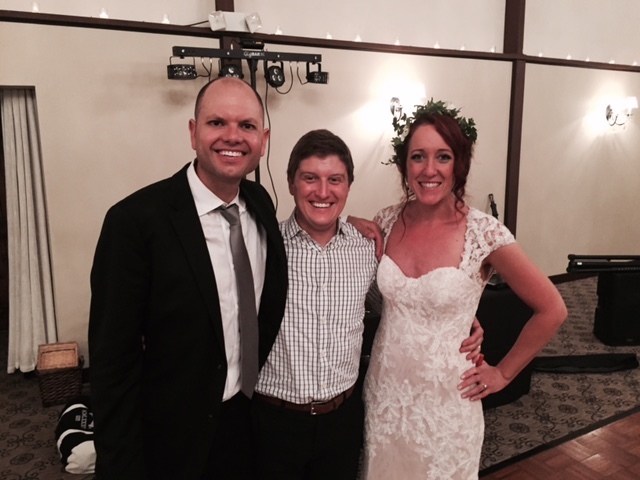 Wedding #2 of my crazy triple header weekend ROCKED the house with Michelle and Tim. Unreal! I was connected luckily with these two through Jeanne Spence of Gourmet Caterers. 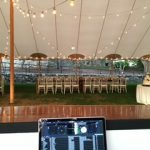 Her and I have worked a number of weddings over the last few years together and was so happy she had me on her list of DJ’s and Michelle and Tim contacted me from that. They were incredible to work with, super easy going as well as a ton of my couples have been, it really makes my job too easy at times when people are this organized and prepared and know exactly what they want and expect from me. Allowing me to have room for my own input and suggestions as well throughout the entire planning process. 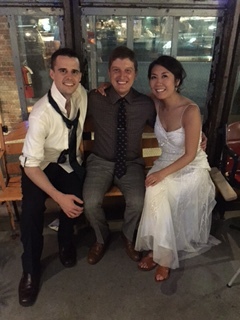 We met up a couple of times for drinks and to chat over the big day from start to finish of ceremony music until the last song played for the night. 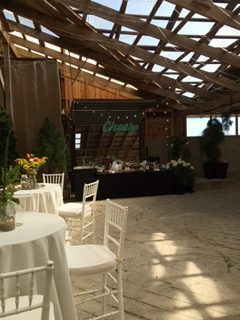 The venue they chose was gorgeous and so grand in size and landscape. 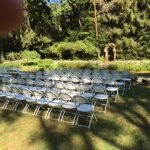 It took me a while but I remembered I had actually done a wedding there a few years prior once I started setting up, so I was familiar with where things needed to be and how the flow of the venue worked. 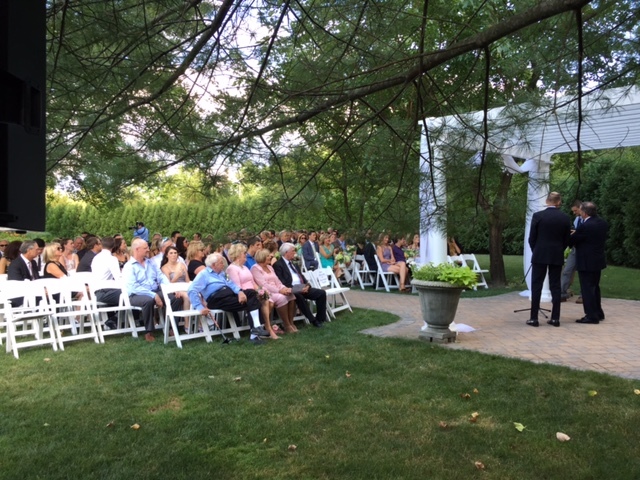 The ceremony itself was held out in a back garden/courtyard type of area – SO peaceful and quiet. 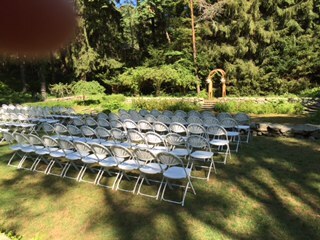 Perfect weather and setting for a wedding ceremony. 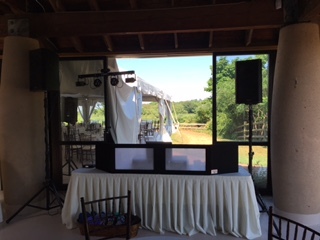 I had a small set up for this ready to go of one PA speaker and the wireless mic for the officiants who did an incredible job, humorous and serious all at the same time. 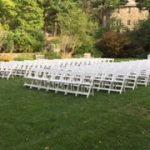 The pre-ceremony music we went with was a mix of chill indie folk stuff like Modest Mouse, Lumineers, Van Morrison, Bob Dylan, etc. 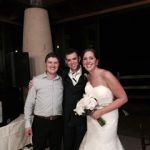 Once Tim was at the front with his groomsman I switched over to the processional music for the wedding party which was “Canon in D” while Michelle walked down the aisle to “Stand By Me” from the European Ensemble Strings Quartet. I had never head this version before, loved it! 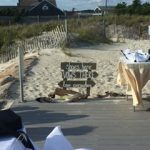 They both walked off after yelling “Mazel Tov” and breaking the glass to the Beach Boys “Wouldn’t It Be Nice”. As the cocktail hour began I was ready to go located in another section of the house with different set up. Guests mingled inside and out of the cocktail hour and our music for this part of the night was similar to the pre-ceremony stuff. Of Monsters & Men with some Mumford, Sharon Jones, Sublime, and chill classic rock from Petty, The Who, Stones, and much more. Great vibe and people were surely digging it tapping their feet along. 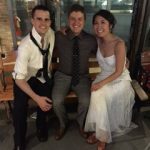 Congrats Michelle and Tim!! Cheers to you guys! 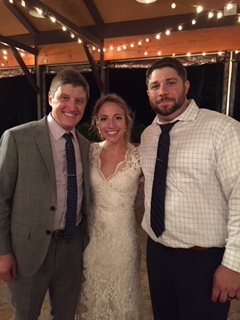 Amanda and Dan! 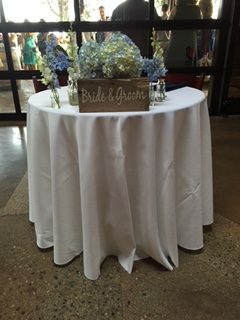 Wedding #15/2016 season. 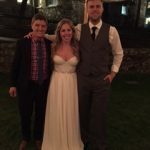 Amanda and Dan kick off the most insane wedding weekend I’ve ever had – three weddings in a row! I’ve done two back to back before, but not three. Luckily it was Labor Day weekend, so I did have the Monday off to chill after all of the craziness. 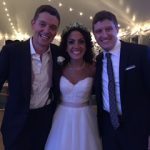 I was connected with these two through Ryan Devoll – the incredible photographer who shot their wedding. The funniest thing about working with A&D is that I didn’t actually get to meet them face to face until the day of the wedding itself, they live out of state so we emailed a ton and skyped several times to at least feel one another out, so I was happy to realize they were real people and not DJ catfishing me when I showed up to Newport Vineyards that day! Over the course of our emails and Skype calls we established the flow of the day and vibe musically. 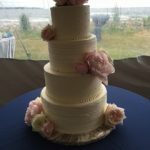 They were beyond organized and so easy to work with that it made me actually a little nervous in a way! 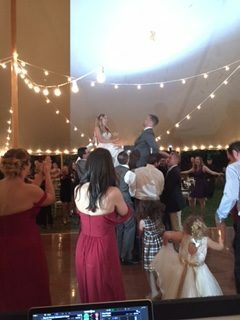 I was waiting for some time of a curveball but nothing – organized, chill, couldn’t have asked for a better couple to rock the house for. 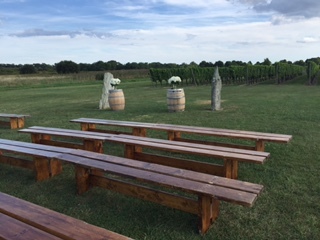 I arrived to the venue super early, so early in fact that it was still open to the public for tours of the vineyard and I wasn’t allowed to bring gear in and set up yet. So I cruised around the shop, had myself an amazing lunch, and ended up buying a few bottles of wine to bring home and try! Not a bad afternoon of “waiting”. 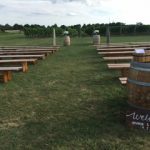 Once it was time to go I got inside and set up and did a smaller one PA speaker minimal set-up out in the vineyards for their ceremony. It was such a gorgeous setting with perfect weather to match. 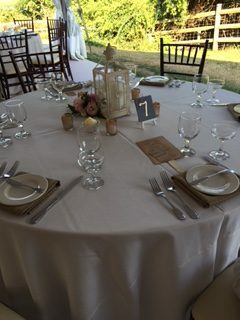 Guests arrived and I had a nice chill playlist going and once the ceremony began I switched over to their processional songs. 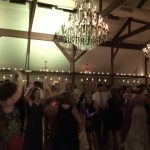 Dan and his parents started it all off, followed by his newphews with their dog (so awesome and funny) and the entire wedding party to the song “Eventually” by Zox. Amanda walked the aisle to one of my personal favorites from the Lumineers “Ho, Hey”. The ceremony was very well done and then off they went as Husband and Wife to the song “Geronimo” by Sheppard. Very fun upbeat song and people were digging it. 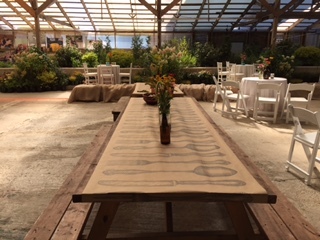 Cocktail hour was held outside in this back courtyard area right next to the vineyards – I had run one extra speaker from my main set up to this outside location and we had a nice mix of folk indie rock and chill classic rock going. It fit very well to the venue we were at. D&A also wanted mixed in some O.A.R., Dashboard Confessional, and Mos Eisley Catina theme from Star Wars! Great choices. Once this wrapped up and everyone shuffled inside we went into the introductions and speeches. 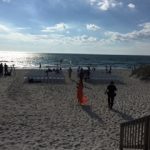 The wedding party was announced to “Castaway” by Zac Brown Band and then the newlyweds were announced to “Good To Be Alive” by Andy Grammer and went directly into their fist dance “Do You Remember” by Jack Johnson. 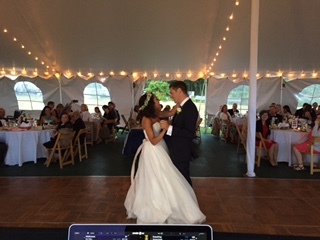 GREAT song choice for a first dance and I think in all the years of weddings I’ve done – the first couple to do a Jack Johnson song. 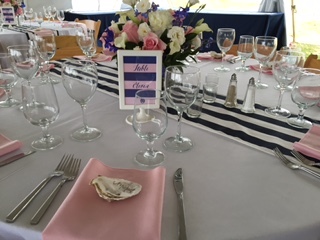 Speeches and dinner kept things rolling next – as Amanda & Dan had a massive clam and lobster bake arranged for their guests. 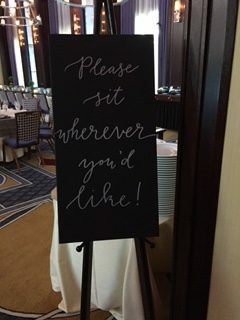 Not only that but they placed aprons on every single seat for people to use for dinner – really unique and funny – the guests loved it. Dinner music was similar to cocktail hour but getting a little more upbeat as we progressed. 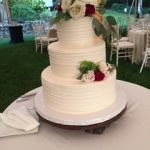 They cut their cake to “Mango Tree” by Zac Brown and we went into parent dances and dance party! Amanda surprised her Dad with doing a dance to “I’ll Be Your Man” by Zac Brown Band but then had me play the tail end of “Under The Sea” by Samuel Wright from the Little Mermaid – really fun surprise and you could see her Dad was loving it as he explained in his speech how he watched all of the Disney movies with her when she was younger. Dan and his mother danced to “My Wish” by Rascal Flatts. 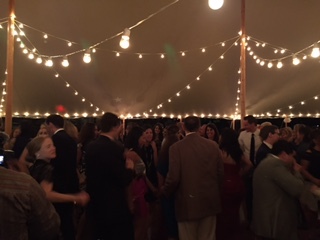 The dance floor was open and packed all night long! 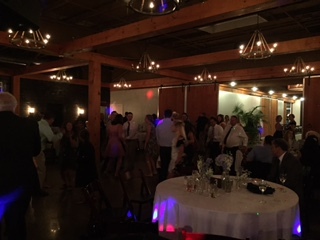 Very fun and energetic crowd and I was mixing in some of the country vibe stuff for A&D while hitting hard on the 80s/90s throwbacks and of course a little top 40 here and there to keep it fresh. Also threw in as per requested by the couple “Sweet Caroline” for their Boston and New England roots. 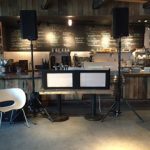 It was such an awesome venue to play at and we closed the night out with a request from them of Andy Grammer “Back Home”. One of my favorite things of the night I have to mention also is A&D sent me home with several of the gourmet dessert donuts they had. SO GOOD. 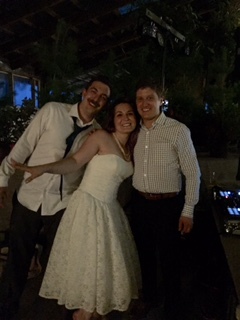 Congrats to Amanda & Dan, thank-you SO much for having me. 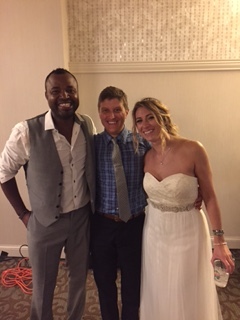 What an amazing day and night, and pleasure it was working with you both! Cheers! Joanna and Nick!!! 14th of the season! Photo: Abby Lorenz Photography – AMAZING work – highly suggested!! 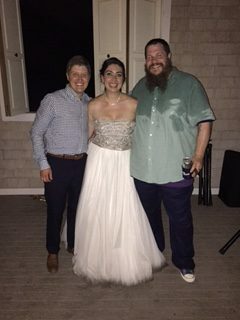 Back to back weekends working with two different grooms who are by far the biggest beer geeks I’ve personally encountered in my life – and it’s AWESOME! The previous weekend with Erik who knows more about beer than anyone I’ve ever met – then I met Nick. Nick’s beer knowledge is insane and not only that – he personally home brews as well and even made me some mind blowing beers for my wedding back in June and my bachelor party which we are still enjoying a few of those today. Joanna is a very talented graphic designer who actually created and the labels for the beers Nick brewed for me. 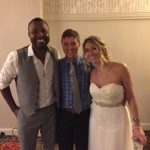 I had an absolute blast working with these two from start to finish and I hope they just redo the wedding again so I can continue working with them! I was connected with these two from my longtime friend Sir Jon Hoffman who is the man behind the mask with my website and all of my graphic work. 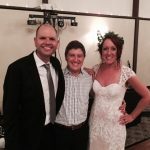 He runs and updates this website for me and creates all of my flyers for gigs – so please check him out if you ever need any web design done over at Zrayweb – thanks again Jon for connecting all of us for this amazing wedding! So I met with J & N months and months ago and it was a great match from the start. 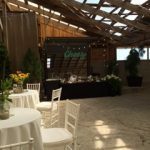 They were doing basically the entire wedding DIY themselves at a gorgeous barn out in Dartmouth Mass. We met up to chat music and flow of the night and were very much on the same page with some punk-rock influences and classic-rock stuff mixed in and a little top 40/90s to stir up the pot as well. 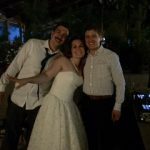 I also knew it was a great fit when I bumped into them earlier this year at a Nofx show in Boston (and yes – I even got away with playing some Nofx at the wedding! HUGE treat for me). 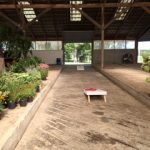 I headed out to the venue very early that day to get set up and loved it when I arrived. 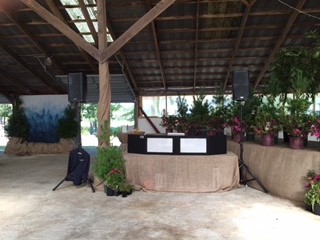 They had so many plants all over the place and awesome string lighting hanging all over the bar – it looked amazing. 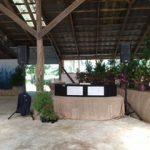 The ceremony was held over on one end of the barn so I had a smaller set up for that and microphone for them to use and did all of the music from my phone. The bridal party all walked into “Storybook Love” by Matthew Lister while Joanna walked into “A Thousand Years” cover from the Piano Guys. Once it wrapped up they turned it up with walking off to “I Believe in a Thing Called Love” from the Darkness – awesome choice! We went directly into cocktail hour and Nick had home brewed some beers for this day as well and our music for this was some chill acoustic punk from Days n’ Daze, Toh Kay, and some chill classic rock thrown in there. It went over very well for this crowd. We then lined up the wedding party and couple and introduced everyone to the classic “Blitzkreig Pop” by the Ramones. LOVED getting to do this for an introduction. 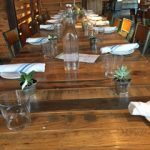 The dinner was incredible – all BBQ food with very good beers, what else could you want?! 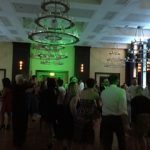 As dinner was starting to wind down we did parent dances and the couples first dance. 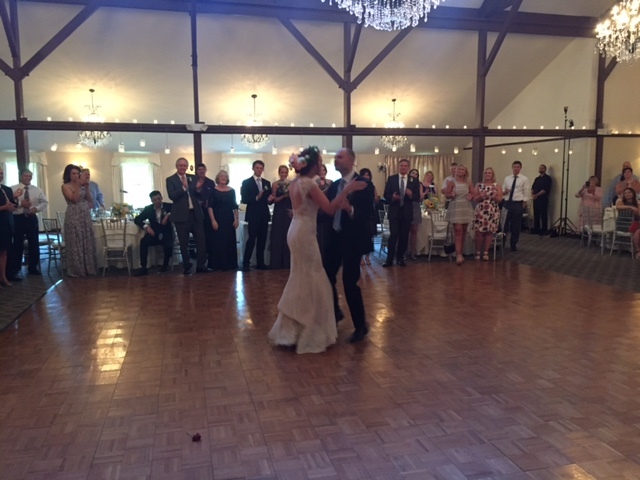 Nick and his mother danced to “Make You Feel My Love” from Adele while Joanna and her father danced to “Just The Way You Are” by Billy Joel. Up next – J & N did a little medley of Ramones songs. 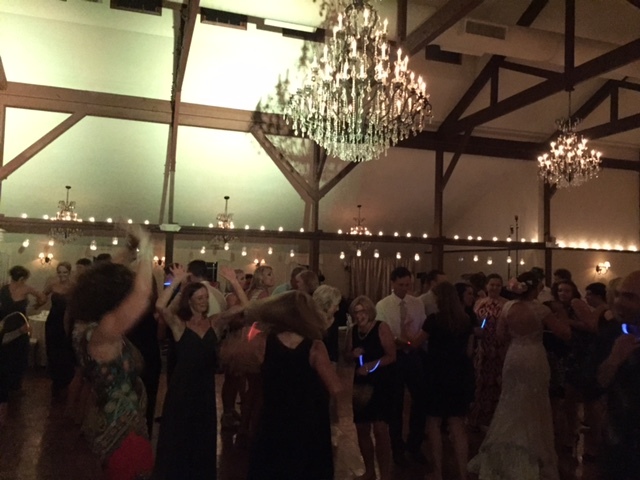 Starting with the slower romantic “Baby I Love You” for about 1 1/2 minutes and fading into the upbeat danceable “She’s The One” which led everyone to the dance floor! Awesome idea on their part to do this and easily get everyone going. The music for the night was a mix of literally everything from top 40, to No Doubt, The Bosstones, 90s hip hop, and some classic rock sing-alongs for the crowd. I had a blast with this playlist – honestly one of my favorites. Loved getting to throw on some indie dance stuff later in the night as well like Ting Tings, The Knife, M83, Phoenix, etc. 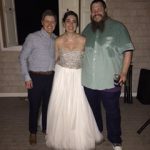 I cannot thank Joanna and Nick enough for having me rock their big day – and for introducing me to so many incredible beers! 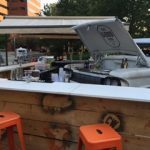 We will be hanging out and sharing some drinks again down the road. A huge thank-you one more time to Jon my website guru for connecting us. 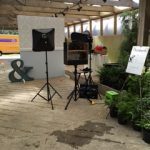 Cannot wait to see the photos Abby Lorenz snapped from this day! In the meantime, enjoy a couple quick iPhone pics I was able to grab. This is one for the books! As always let’s start from the beginning. 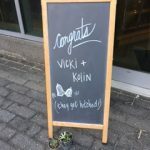 I was fortunate enough to be connected with Michele and Erik through Mandy of Hummingbird Bridal earlier this year and after one consultation meeting and a few very good beers, the rest was history! Erik and I are on the same page with beers – he is a beer fanatic and knows about beers in a way I feel I do with music. It’s amazing! All three of us were on the same page in terms of music, and the overall vibe of the night right away. It was a great fit and I was excited to see it all come together. 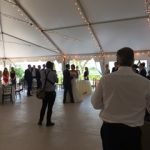 So the wedding was being held on Thompson Island off Boston. 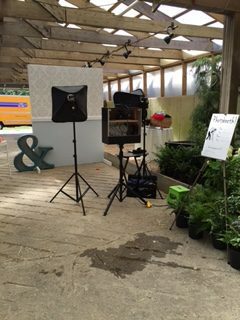 This was logistically one of the tougher weddings I’ve done but SO rewarding once you get there and set up. So the day arrived and my wife Melanie assisted me (HUGE thank-you to her). 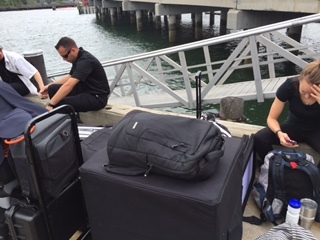 We went down very early to the dock and unloaded all of my gear and waited for the vendor ferry over to the island along with the videographers, photographers, florists, and Mandy and her team of coordinators. Once the ferry arrived everyone flew to load it up and head over. I thought it would be way harder than it was to load but every single person helped grab everything from speakers, to boxes of flowers, and we all made it happen! After about a thirty or so minute ferry ride we arrived to the island. 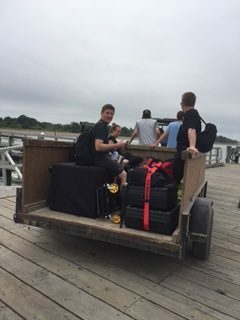 What was awesome about this is the Thompson Island crew was all waiting with golf carts and trailers – which we threw all of my gear into the back of one and headed over to the actual wedding site itself. It was STUNNING once we arrived there. 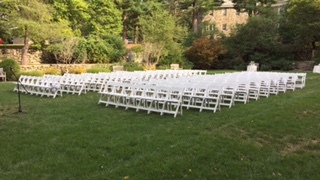 I sadly was running around and setting things up so I failed to get a photo of the ceremony site but it was seriously breathtaking right on the water and surrounded by some gorgeous trees and scenery. 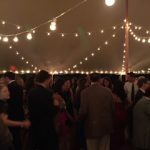 The dinner and dancing portion of the night was held under a little pavilion area which was set up very nicely and the sound in there was great! Once everything was set up we started the ceremony with one of Erik and Michele’s friend playing their songs on acoustic guitar and it sounded great. Erik’s brother officiated the wedding and was very funny but serious as well, he did a great job. As the ceremony wrapped up we transitioned into cocktail hour which was held in and out of the pavilion and the grounds of the ceremony area. This was really fun to do as they wanted a kind of mellow electronic mix with some old school rat pack classic stuff. We had some Sinatra going with some Avalanches, with some Dean Martin and Wax Tailor. The dinner portion of the night followed directly after and it was a very low-key no pressure vibe and flow all night long. We didn’t do the traditional big introductions for this night – once everyone was seated for dinner a few speeches to keep things rolling and dinner music consisted of a similar vibe from cocktail hour mixing in some chill classic rock stuff and a few instrumental tracks from DJ Shadow as well. 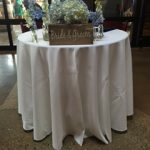 I loved getting to play some of this stuff at a wedding! It was then time for the dance party! 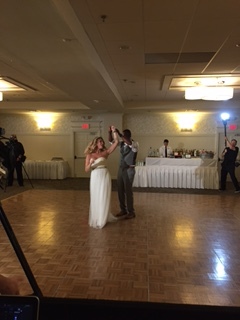 We kicked off the open dance floor with Michele and Erik’s first dance to “Sunday Kind of Love” by the one and only Etta James and asked everyone to join in directly after. Kept it old school for the beginning part of the evening with some Stevie Wonder, Parliament, just a really nice funk/soul vibe before switching gears into some top 40 and 80s/90s gems of course. 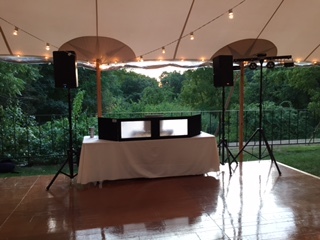 The mix for this night was great and really fun for me to be able to play some old school hip hop like A Tribe Called Quest and De La Soul and switch it up to some modern rock stuff like Arctic Monkeys as well. 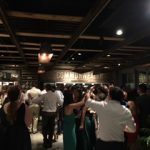 It was a great crowd which endured a very hot and sweaty dance party from start to finish. Once the night concluded – we packed up and headed back to the ferry and made the trip home. It was a lot getting there and getting back – but SO worth it. 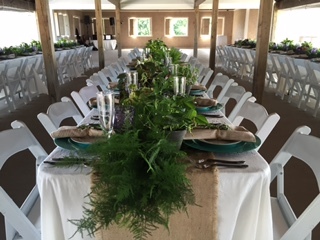 The venue was awesome and the couple was amazing to work with over the year. I was very lucky at the end of the night Erik handed me some of the beers from Alchemist (Focal Banger, and Crusher) which have been on my list to try for a while now. 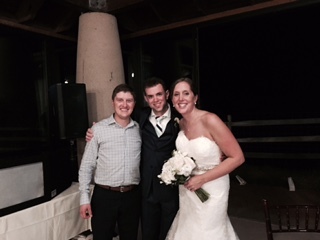 Congrats Michele and Erik!! Thank-you once again and we will be keeping in touch as you’re my new beer buddies! 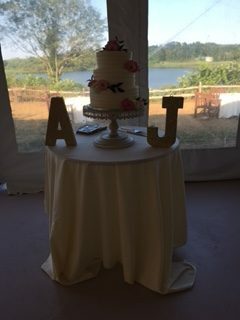 And thanks again to Mandy to connecting us and running a tight ship and setting up another phenomenal wedding. So happy to be a part of it. Enjoy a couple quick iPhone shots! 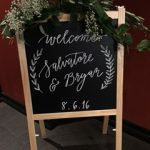 Bryan and Salvatore bring in wedding 12 of the season! And the good times keep on rolling! 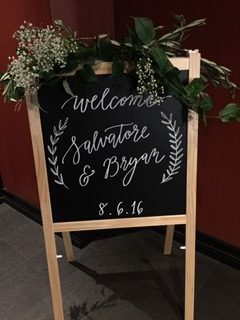 Bryan and Sal were amazing to work with and it was even better to see everything we planned and discussed come to life that day and evening. 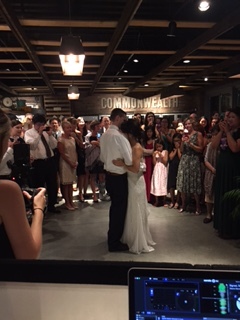 I have always wanted to DJ a wedding at the Liberty Hotel and it finally happened! 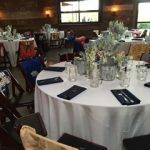 I’ve done events and other gigs there before but never a wedding – so that was really fun for me. It’s one of my favorite buildings in Boston, if you’ve never been by to check it out – I highly suggest you do so ASAP! My connection with Bryan and Sal dates back a few years ago now. 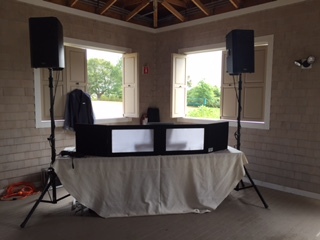 I was put in touch with Bryan via Facebook I believe – as he was looking for a DJ to supply music for his Open heARTS fundraiser which I’ve now DJ’d a few times at 60 State Street. 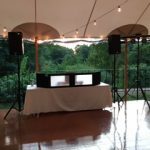 Once it was time for wedding planning he contacted me asking me to DJ and I was thrilled! I met with Bryan a couple of times before the date going over the timeline, schedule, all of the music details, etc. and we were good to go. 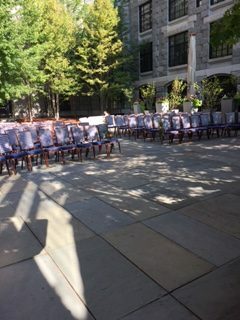 Due to possible rain in the forecast we had to move the dinner and dancing inside the day of – but we still got away with having the ceremony in a back courtyard of the Liberty and it was SO nice! Pre-ceremony music was a shuffled mix of some Vitamin String Quartet songs and then the wedding party and both grooms walked into ‘I Choose You’ by Sara Bareilles string version. 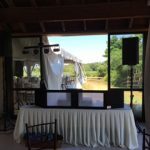 I had a PA speaker and wireless mic set up for their friend who did a fantastic job as officiant. They even had their dog as part of the ceremony! So awesome. Once the ceremony wrapped up everyone walked out to the actual studio recording of Sara Bareilles ‘I Choose You’. 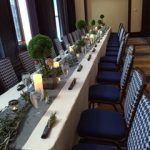 As I quickly broke down the ceremony music and set up – guests were then escorted back into one of the upper levels of the hotel lobby for cocktail hour. 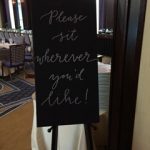 I was set up inside one of their ballrooms which would host the introductions, dinner, and dancing for the remainder of the night. 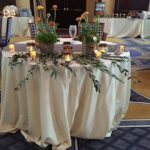 As cocktail hour came to an end and the ballroom doors were then opened up – we went into introductions. 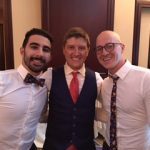 From the parents – to Bryan’s party, Sal’s party, and the grooms themselves – they were all announced and introduced to a few different Beyoncé songs which everyone was loving. 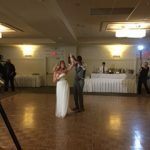 They had their first dance to ‘Can’t Help Falling in Love’ by Ingrid Michaelson, great choice!! 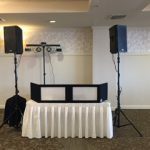 Dinner music was a mix of some choices from the couple from Alicia Keys, Charlie Puth, Adele, etc. 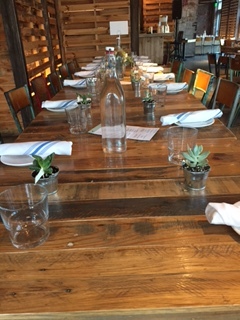 it fit very well for the room we were in and had a nice classy vibe to dinner. Up next – dancing! 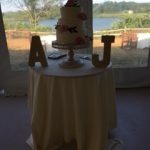 As the grooms finished up eating we did cake cutting to a request of theirs ‘It Only Takes a Taste’ from the Waitress Musical and into parent dances directly after that. 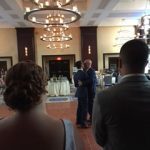 Bryan and his mother danced to ‘Somewhere Over the Rainbow’ by Israel K. while Sal and his mother danced to a classic 90s tune ‘Iris’ from the Goo Goo Dolls which everyone started singing along to. Once the dance floor opened up there was no stopping this crowd! Awesome group of people to play to from Lady GaGa, Pitbull, Kelly Clarkson, to some boy bands of the 90s and gems of the 80s with Whitney, Madonna, and MJ. 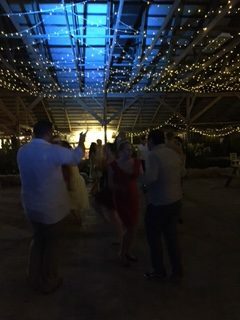 They were open minded to anything being played and we closed the night off with some Cher, Dirty Dancing’s ‘I’ve Had the Time of my Life’ (This was the song from what I remember where both grooms were crowd surfing and hoisted up before the final request from the grooms of ‘XO’ by Beyoncé. It was an amazing day and night and I was thrilled to be a part of this one! 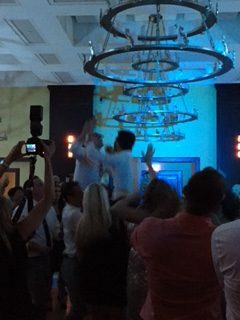 CONGRATS to Mr. and Mr. Finocchio-Forte! 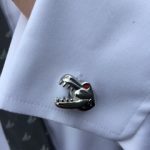 Thank-you for having me! Here are a couple quick iPhone pics I snapped throughout the day and night. 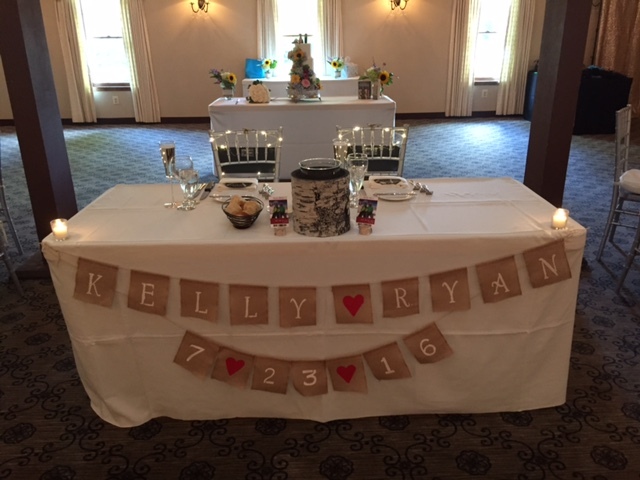 11th Wedding of 2016! The Panetta’s! 11 out of 11 for weddings so far this year. 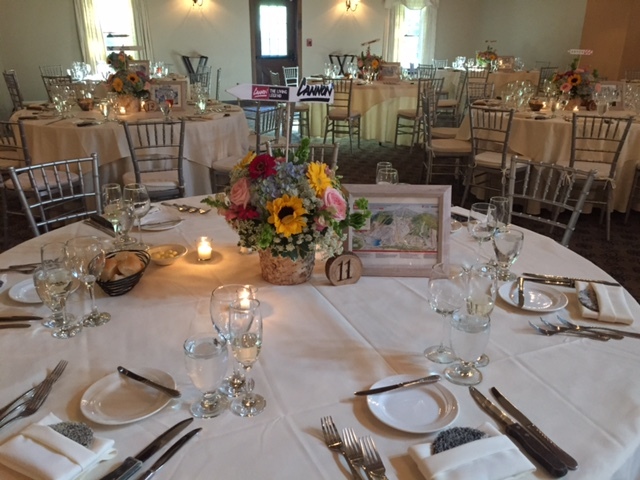 Another fantastic couple and great venue! Let’s start from the beginning as always. 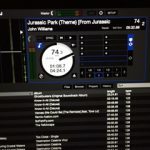 I was connected with Ashley a couple of years ago now as she had attended the 90’s Night I DJ on Friday’s at 6B Lounge in Boston. She left a Yelp review on the night and from that we had been in touch. We shared a mutual love of some of the same music of course with the 90’s but also some of the older punk rock artists as well. 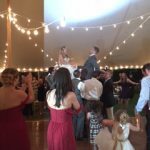 In terms of a playlist she and John wanted to really just mix it up for themselves and the guests of old and new with some party pleasers thrown in as well. 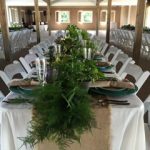 After just about a year of being booked with Ashley and John and all of the planning, emails and meeting up to chat all of the details – the big day had arrived. I loaded up the car with all of my gear, back up gear, and was off to the venue nice and early. It was HOT out but luckily the cocktail hour, dinner, and dancing was held in a back pavilion area with tons of fans going and some shade for the guests. 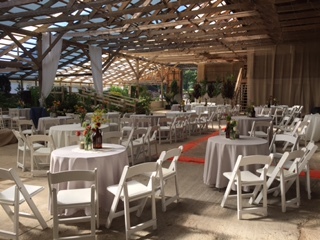 Once I was set up inside the pavilion – I drove up to another part of the venue where the ceremony was being held. It was a hidden gem! Beautiful garden area with a little koi fish pond. 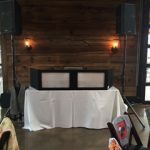 I had a minimal set up for this with one PA speaker, wireless mic for the officiant and I provided their ceremony music as well. Pre-ceremony music as guests were taking their seats was Vitamin String Quartet and then the wedding party walked out to ‘Canon in D’ while we then switched over for Ashley to ‘Book of Love’ by Peter Gabriel. 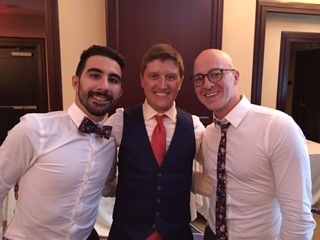 Their friend did an incredible job officiating and once it was over they exited to one of my favorites ‘You Are The Best Thing’ by Ray LaMontagne. Shuttle busses scooped all of the guests up and drove them back down to the pavilion area and we went directly into cocktail hour. 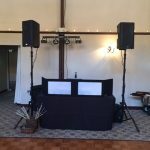 It was fun – I got to play some chill indie rock stuff like some mellow Modest Mouse, Bright Eyes, Bon Iver, and threw in some old school Rat Pack tunes as well to keep it mixed up. 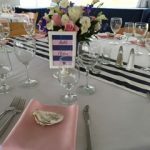 The appetizers looked amazing that I saw going around! Once cocktail hour was winding down we went directly into introductions. 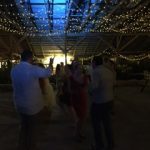 The wedding party and couple all were announced to ‘Can’t Stop The Feeling’ by JT and went right into their first dance ‘Thinking Out Loud’ by Ed Sheeran. Speeches were up next and a very lovely blessing from John’s Aunt which was really touching to see. Dinner music was a similar style of cocktail hour and everyone seemed to be enjoying it. I had a few people ask me who some of the acoustic covers I played were, always great to interact with the guests. Ashley and John had the cake cutting at the tail end of dinner and then we played a song for Ashley and her father Joe Cocker’s ‘You Are So Beautiful’ and John and his mother was ‘I Will’ by The Beatles. Then of course my favorite part of the entire night – open dance floor! 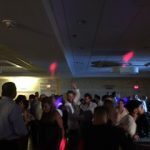 I had everyone up and going from start to finish with some top 40 Icona Pop, Macklemore, and dove into the 80s and 90s with some MJ, Madonna, Backstreet Boys, etc. 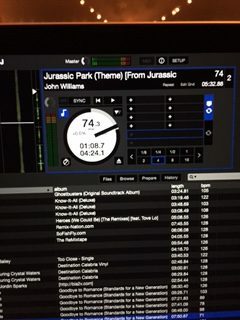 and some Motown/Soul tunes as well (but NO Will Smith – don’t worry Ashely haha – it was requested but not played). We ended the night with a punk song Ashely wanted very badly from Piebald ‘American Hearts’. 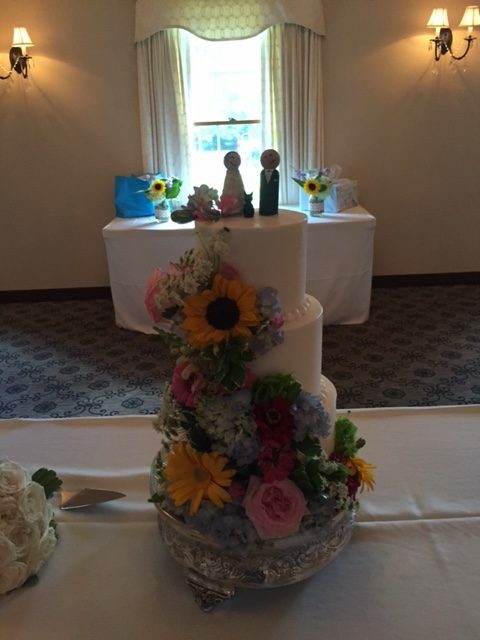 CONGRATS to Mr and Mrs Panetta! 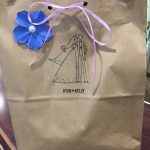 Thank-you so much for including me in your big day. Cheers! 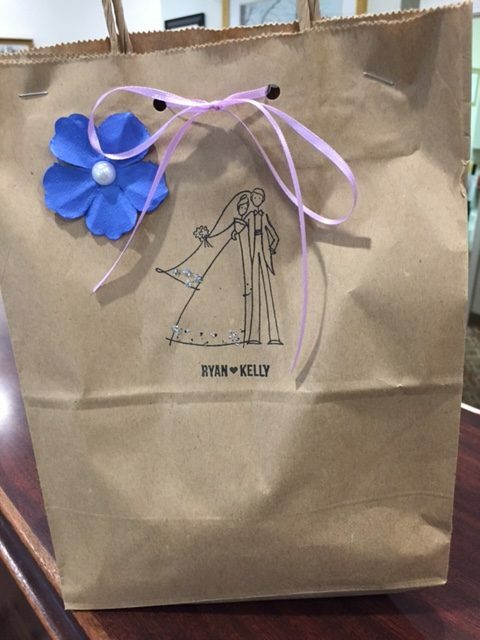 Wedding #10 of the season rocks in with Ryan & Kelly! 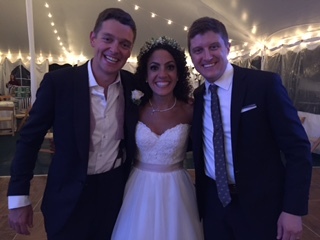 I was connected with Ryan & Kelly from our mutual friends Pat and Colleen Hirst. 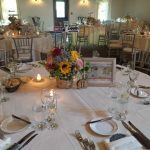 Pat had gone to school with Kelly a while back and once they reached the point of looking for entertainment for the big day he recommended me and before I knew it I was booked for July 23rd, 2016 in Farmington CT. 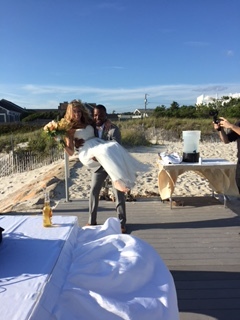 They live in NH so we didn’t actually get to meet up face to face until a few weeks before the wedding but thanks to the power of the phone and emails, we had smooth sailing planning everything with music and timelines, etc. Ryan and I share a mutual love for old school hip-hop and I think that was a selling point for him booking me. 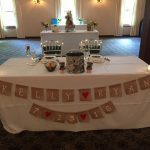 Kelly was the nicest most easy going bride I’ve possibly ever worked with! She (well both of them) were open to all types of suggestions but had a lot of input and requests of their own as well. We really customized this to be “their” setlist and it really was that night. 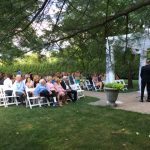 The ceremony was held outside in a really nice back garden area of the venue. 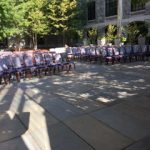 It was one of the absolute hottest days I’ve experienced but luckily enough most of the ceremony area was shaded by these huge trees which was a relief for all of us. 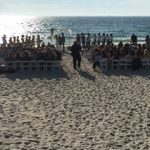 I was set up to the side with a PA speaker and had one wireless mic connected for the officiant. 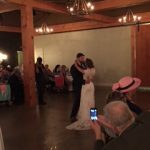 I provided pre-ceremony music on songs they both wanted and then they had a friend take over and play and sing live acoustic for everything else – he was SO GOOD! 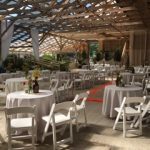 Once the ceremony wrapped up – everyone was shuffled into a side area of the venue which was indoors a green house with AC thankfully. 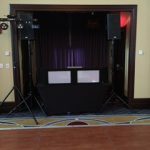 This was one of my favorite parts of the venue again, while my big main set up was inside the ballroom area where we would be moving into for dinner and dancing – they actually had a PA system that hooked directly into my mixer and pumped the cocktail hour music into the greenroom – so I didn’t actually have to set up anything extra for that part of the night. So that was a plus on my end and I loved it! 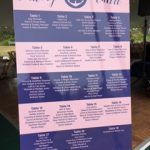 Cocktail hour was really fun, they wanted a mix of some old school chill 90s hip hop and R&B mixed in with some newer stuff as well. 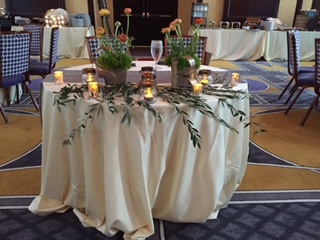 They wanted to keep it upbeat from the get go to really set the party tone. 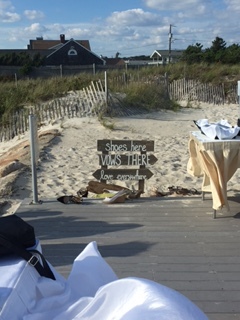 We didn’t really do too much of the jazz and rat pack route for this wedding. 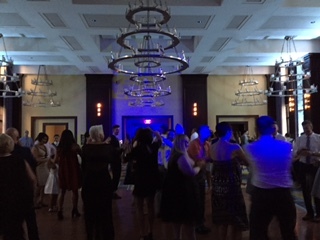 As cocktail hour concluded and everyone came into the main ballroom – we went directly into introductions. 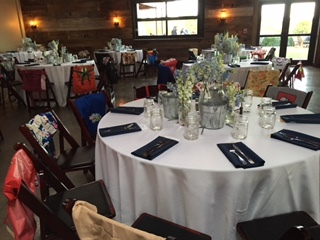 (Loved the seating chart and table names BTW – all of them were Ski Mountain and resort names). Before I started the intros – and was getting the crowds attention – Ryan wanted to hype people up with the old Chicago Bulls theme song “Sirius” by the Alan Parsons Project. We then introduced grandparents and parents to “Dance With Me” by Olly Murs (which was a song I was newly exposed to!) 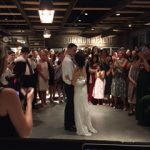 – the wedding party was introduced to “Uptown Funk” and then Mr. and Mrs. Ryan and Kelly Akers were introduced to “Can’t Hold Us” by Macklemore. It was awesome and everyone was already dancing and clapping along. 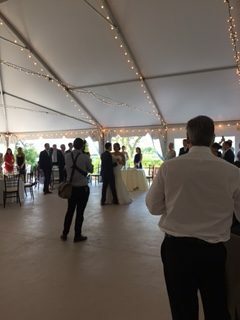 They went right into the first dance (another song I was introduced to) “No Matter Where You Are” by Us The Duo – it was a really fun upbeat first dance to witness! 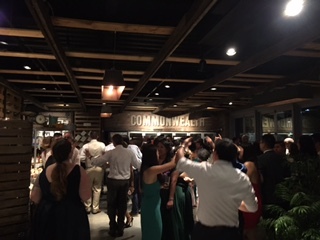 As dinner was starting we had a few speeches underway and dinner music was a similar vibe from cocktail hour – throwing in some chill classic rock at this point too and some old school funk and soul to start transitioning us into the dance party. 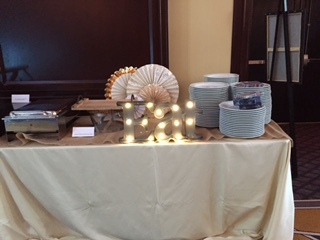 Again – let me just tell you – the food was unbelievable. AMAZING steak and mashed potatoes. After cutting the cake to “Sugar” by Maroon 5 the parent dances were next. Ryan danced with his mother to Mac Miller’s “I’ll Be There” – so fun and upbeat hip hop song. Kelly went with an awesome choice Sir Stevie Wonder “Isn’t She Lovely” with her father. 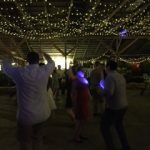 Both led us into one of the best dance parties I’ve seen in a wedding! We were all over the place from 90s pop with BSB, NSync to good old school hip hop from Dre, Biggie, and I even got to play a demanded request for Ryan “Area Codes” by Ludacris and Nate Dogg. 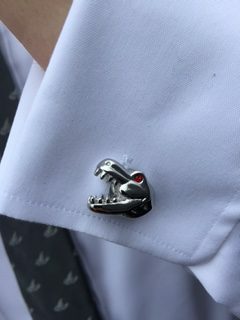 That was a first getting away with that at a wedding haha. 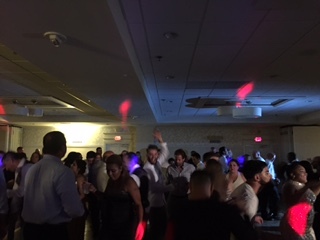 We had a nice blend of 80s hits as well with old funk and soul as well from Jacskon 5, Earth Wind & Fire, and others. 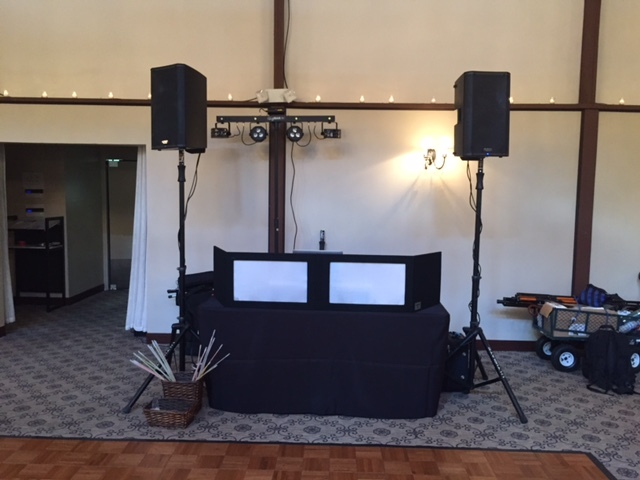 And of course kept it fresh and modern with some tunes from Walk The Moon to Drake’s “One Dance”. It makes my job too easy when the crowd is that fun and into everything. It’s the best feeling! 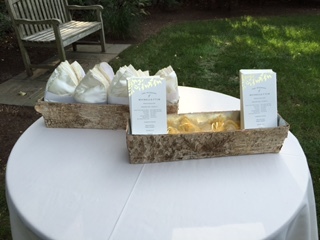 Congrats to the Akers and thank-you SO much for including me in your big day. You guys were incredible to work with and we will 100 percent do drinks in Portsmouth sometime soon and recap it all. Here are some quick iPhone snapshots I grabbed throughout the day and night – enjoy! 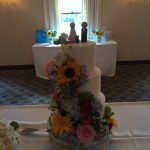 9th wedding of 2016! Amanda & Mason!!! Amanda & Mason everyone! I honestly am on a roll with the couples I get to work with. 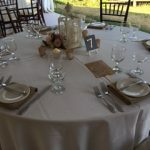 Every couple is different in many ways but have one thing in common – they are awesome to work with and they all just want a fun party vibe for them and their guests. I was introduced to these two via email from our mutual wedding photographer Mikhail. After a couple of drinks and a face to face meeting the rest was history and we were in constant contact for all of the music details of July 9th, 2016. They were so laid back and easy going and very open to suggestions as well which I loved. Amanda asked me if I would be okay mixing in some Arabic dance songs for her and her family. Of course that isn’t a problem! 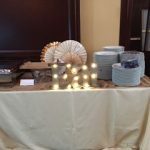 This is what makes weddings still fun and exciting for me to do. Even with a MacBook loaded of 70,000 songs – every couple still has stuff I haven’t heard yet. It introduces me to new songs and artists. 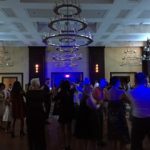 I also never know what type of crowd I am going to walk into and I love that challenge of getting 100 or so guests I have never met up and dancing. 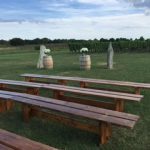 Once I arrived to the venue and got set up the guests slowly started to trickle in from the ceremony which was held at a separate location. Cocktail hour to start was fun they wanted a mix of some jazzy mellow stuff from Ella Fitzgerald to Pink Martini. 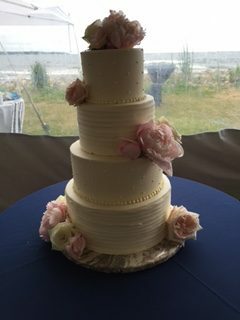 It went really well with the setting of being right on the water. 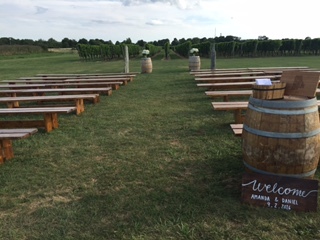 The venue was gorgeous for it’s view! Once cocktails wrapped up and everyone came into the tent we were into introductions. 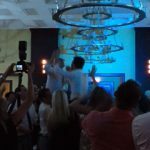 The parents and wedding party were all announced to “Can’t Stop This Feeling” the newest and very fun song by Justin Timberlake. Amanda and Mason were then announced to “Safe and Sound” by Capital Cities. I think I’ve said this before but it’s great when couples choose fun upbeat songs like this for introductions. It’s a party and really sets the tone for the night to follow! As soon as they were announced they went into “Everything” by Michael Buble for their first dance. 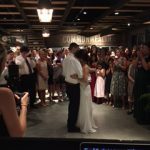 Believe it or not – this was (I think) the first time I’ve ever had a couple choose Buble, such a good choice for a first dance. Dinner was up next and was a similar style to cocktail hour but also mixing in some must play theme songs that Amanda and Mason wanted from the movie Up and also the show West Wing. I have some James Vincent McMorrow playing which someone asked me who it was they loved the song so much. And then during dinner something crazy happened! We lucked out with weather that it didn’t start pouring rain until everyone was at least inside the tent, so they were able to enjoy cocktail hour. Halfway through dinner though – all of the lights and some of the power went out. I think everyone thought I was controlling the lights at first haha but not the case. The best part though is I must’ve been plugged into a different power source because we never lost the music! 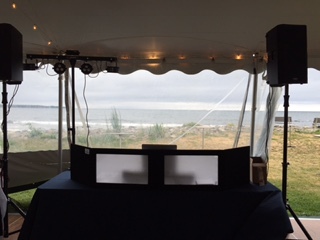 I don’t know if anyone really noticed but since it was raining SO hard on the tent I tried to subtly play “No Rain” by Blind Melon and “The Rain” by Missy Elliot. 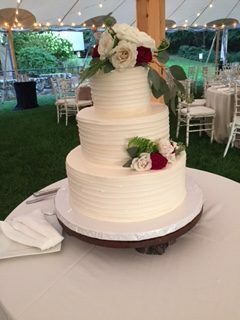 Once the lights came back on everything was fine and it was time to cut the cake and get to the dancing. Mason and his mother danced to “You’ll Be In My Heart” by Phil Collins which I just found out was Mason’s first concert. I have been to 90,000 concerts and I have never seen Phil – I am VERY jealous of that! 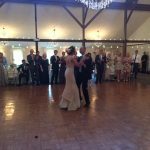 Amanda and her father danced to a classic Bob Dylan song “Forever Young”. From there we were off! 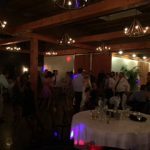 Dance floor was PACKED all night long and I was mixing in the Arabic dance party songs every few tracks that Amanda provided me. 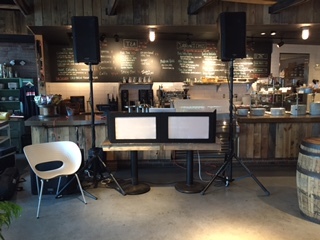 It was great to be able to mix American top 40 and old school stuff with those – everyone was loving the flow and vibe. Seriously one of the most fun crowds I’ve ever had – don’t care if that sounds repetitive either – I really mean it. Enjoy a few of my quick iPhone photos!